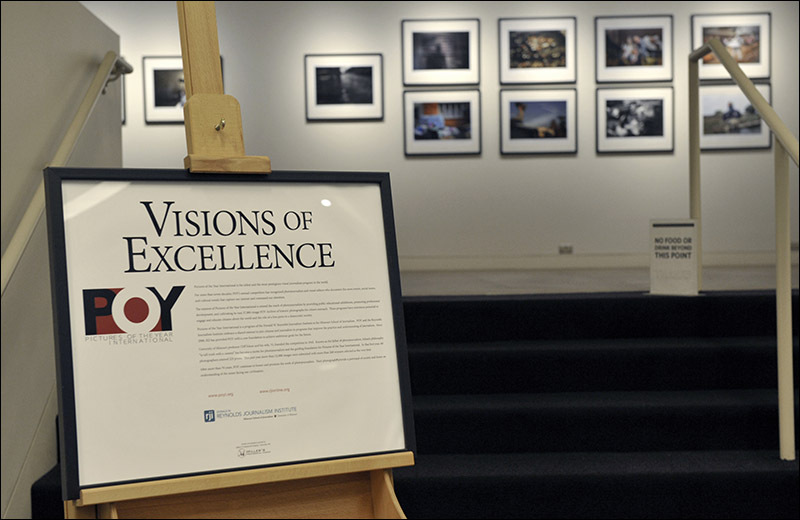 POY "Visions of Excellence" exhibition showcased on the main level of the Kansas City Public Library Downtown Branch for a two-month showing. 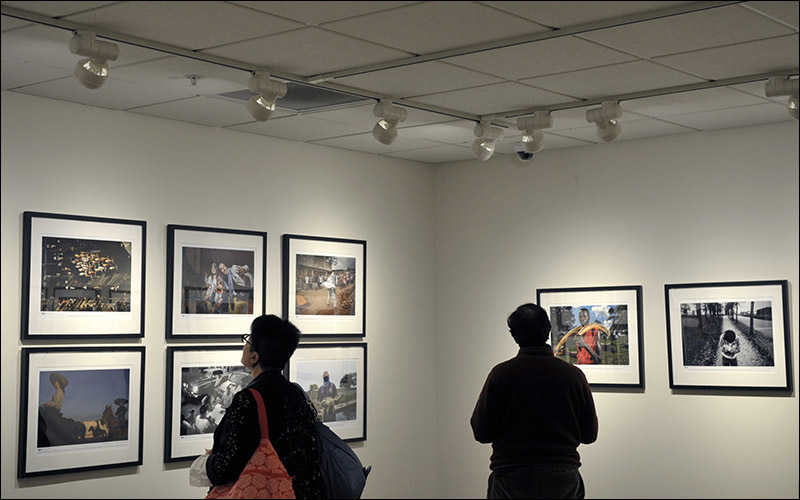 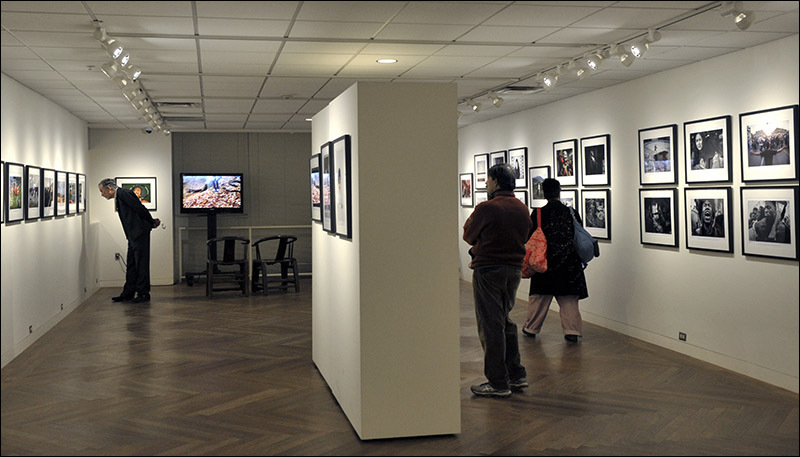 Library guests view the POY exhibition on Thursday, Nov. 10, 2016 prior to the ASMP presentation by Yunghi Kim. 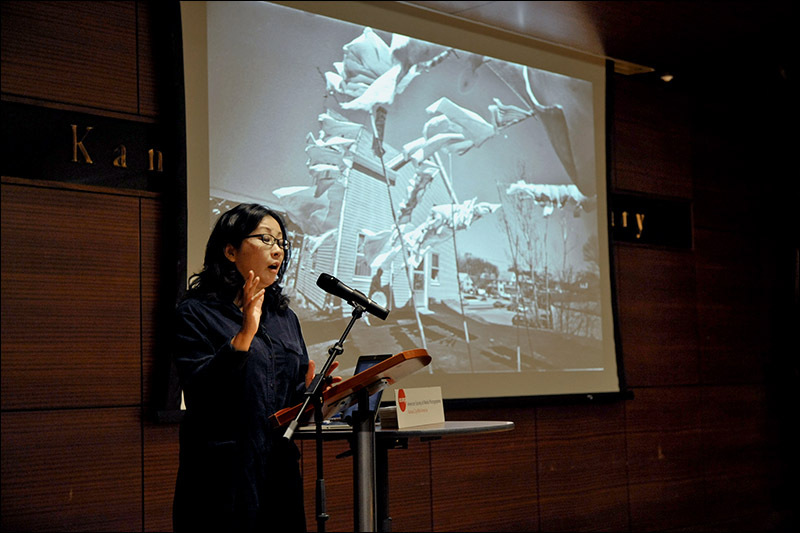 Award-winning photojournalist Yunghi Kim gives a premier presentation to guests during the POY and ASMP partnership program at the Kansas City Public Library on Thursday, Nov. 10, 2016. 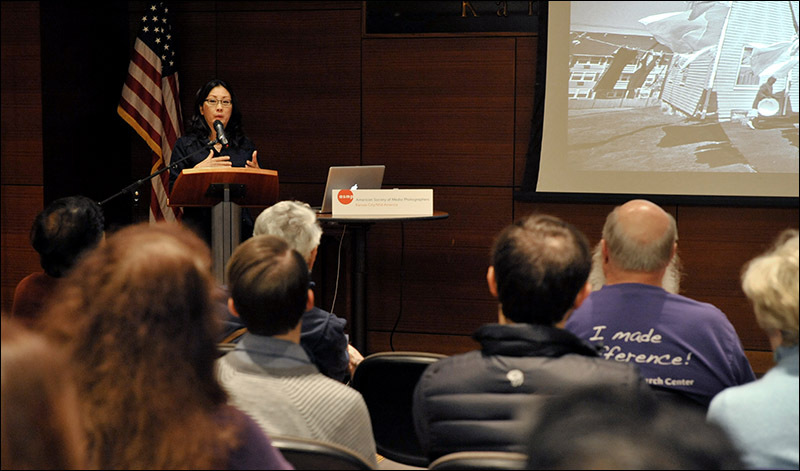 Yunghi Kim discusses her career work during the POY and ASMP partnership program at the Kansas City Public Library on Thursday, Nov. 10, 2016. 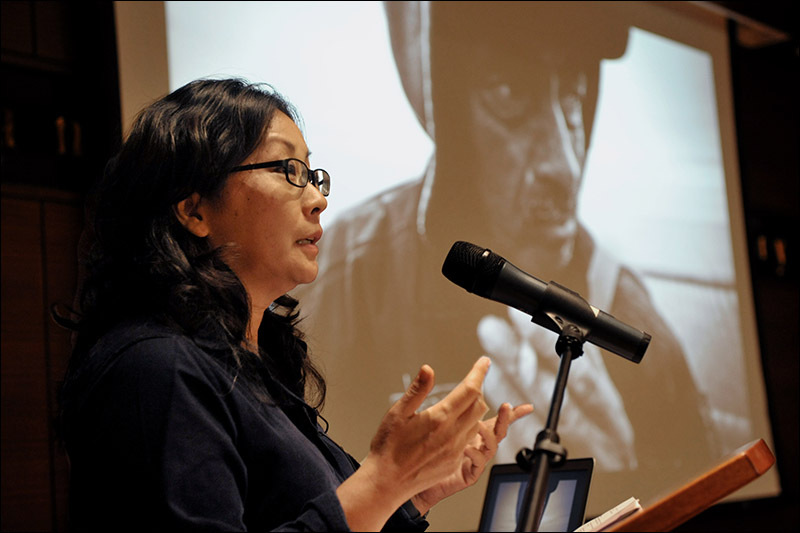 Regional photographers gather to hear Yunghi Kim give a presentation of her career work on thursday, Nov. 10, 2016. 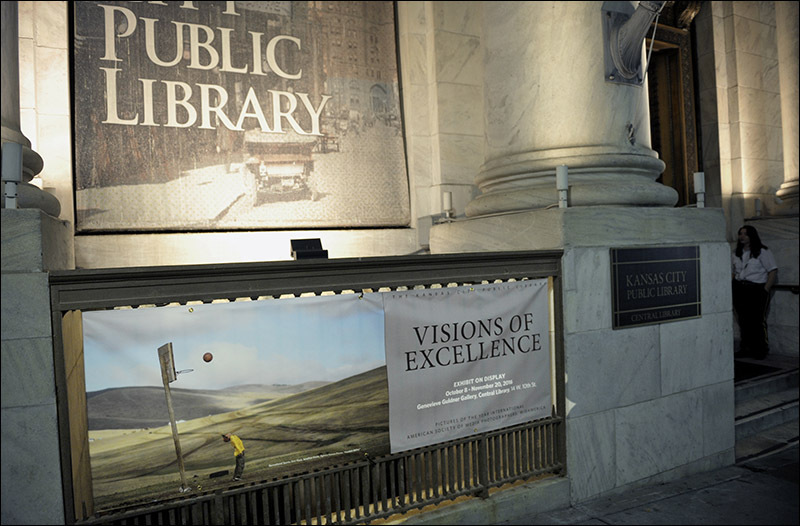 2016 is the second year that the Kansas City Public Library has host the POY "Visions of Excellence" exhibition at its Downtown Branch location.